For many homeowners, waterproof flooring isn’t the first material they think about when considering a new floor covering for their homes. 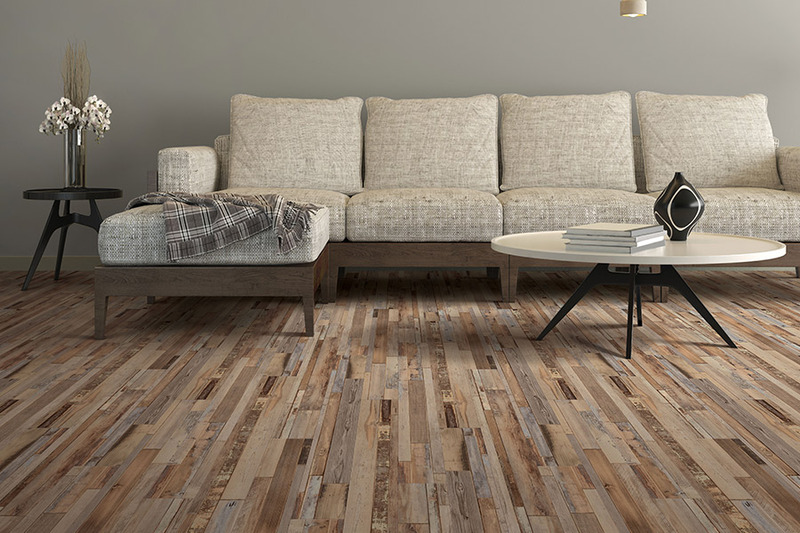 However, it could actually be the flooring you’ve been waiting all this time to discover. Just keep reading to discover some of the most important benefits, and the many ways it can provide what so many other floor coverings can’t. 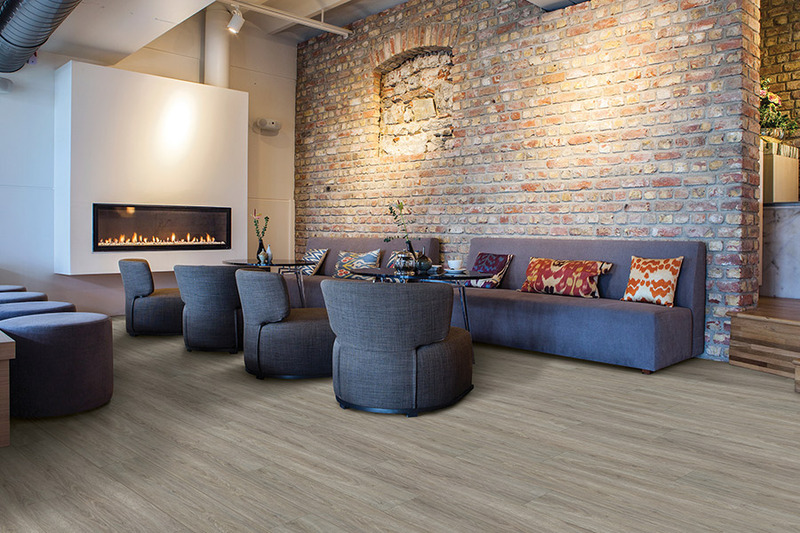 Affordable Flooring & More can help you find the perfect flooring to match your needs. We’ll be more than happy to answer any questions that you have and show you our full line of waterproof vinyl flooring. Just stop by our showroom, located in Las Vegas, NV, at your convenience. We serve the areas of Las Vegas, Spring Valley, Paradise, Henderson, and North Las Vegas, and we’ll be happy to assist you with all your flooring needs. 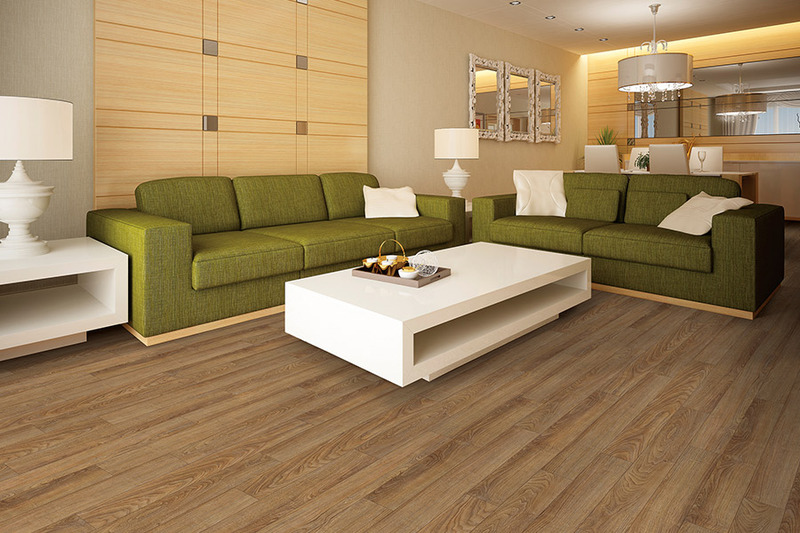 The first and most obvious benefit of vinyl waterproof flooring is, of course, the fact that it is waterproof. Some companies try to sell water-resistant flooring as if it were waterproof, but it certainly is not. It does do better than flooring that isn’t resistant to water at all, but it simply can’t withstand the things that waterproof can. For instance, if you spill something on water-resistant flooring, it might not soak in immediately, but given enough time, it will. This will cause damage, perhaps to the point of having to replace your flooring. And it certainly cannot withstand water emergencies such as busted pipes or even flooding. This material can, and you’ll have so much more peace of mind by making the choice to switch over. 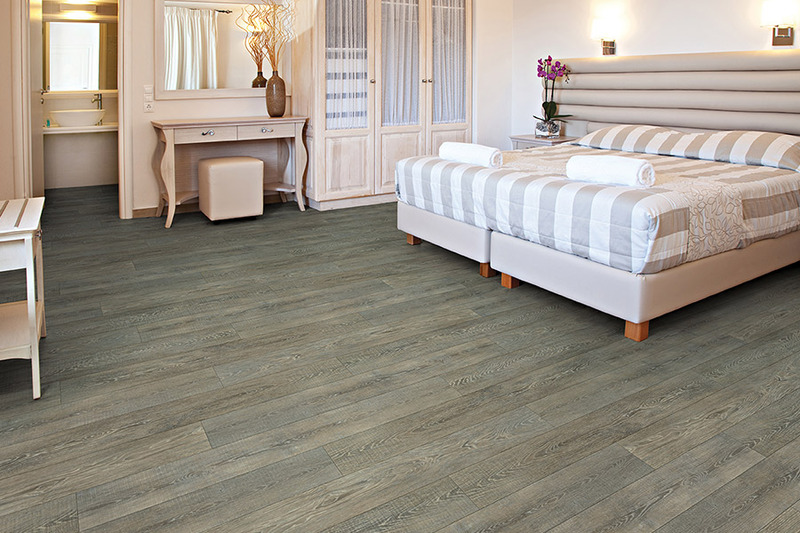 Vinyl waterproof flooring is also a great choice to fit nearly any décor. 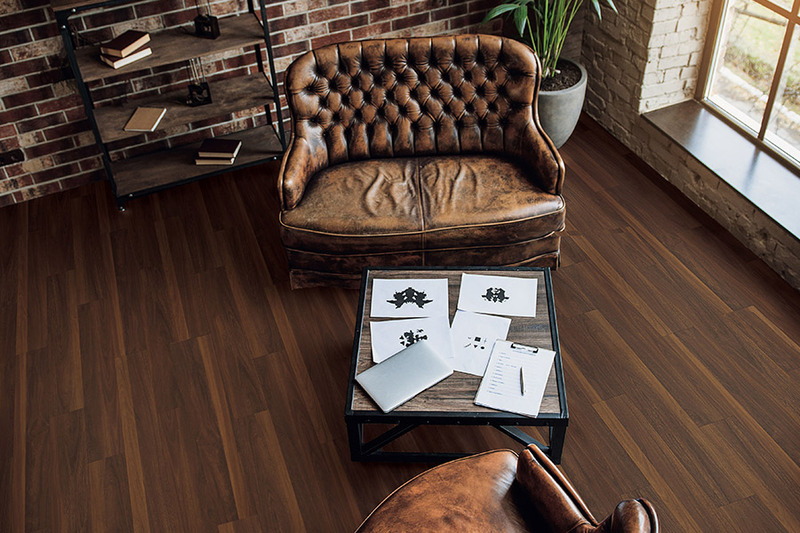 Since the design layer of vinyl is digitally printed to resemble solid hardwood flooring, you’ll enjoy all the classic beauty it offers. You can find these planks in many various grain patterns, stain colors, and textures. 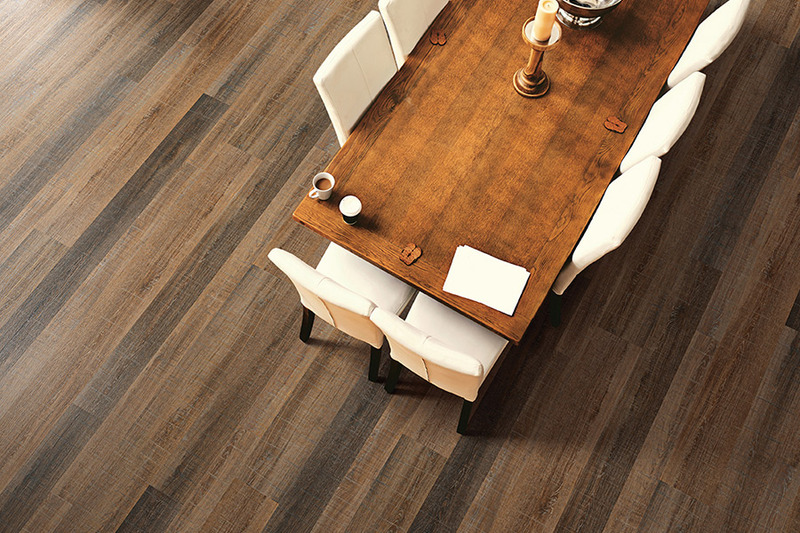 They will fit in as well as hardwood, laminate or other luxury vinyl flooring would with your home design. Since this flooring is completely waterproof, it can be placed in basements and other below grade areas with ease. It isn’t going to be affected by temperature changes and humidity the way that hardwood flooring wood, and even if it should flood, your flooring will be safe. It’s also easy to clean. In fact, it’s likely that the only things you’ll need to get the job done are a broom and a damp mop.